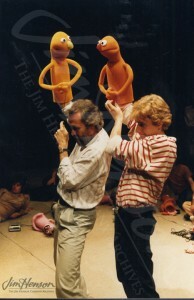 Jim and Brian Henson at the Institut International de la Marionnette in Charleville-Mezieres, France, 1987. Photo by Richard Termine. 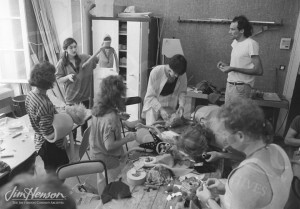 Cheryl Henson teaching puppet construction at the Institut International de la Marionnette, Charleville-Mezieres, France, 1987. 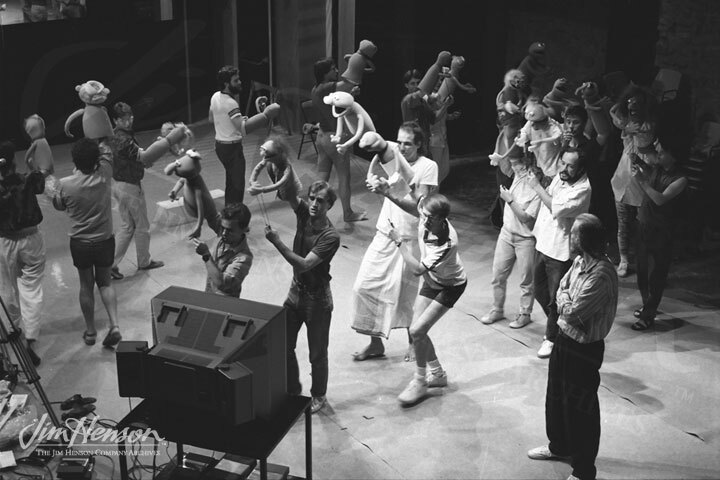 Photo by Richard Termine. Jim and his class at the Institut International de la Marionnette, Charleville-Mezieres, France, 1987. Photo by Richard Termine. This entry was posted in 07-July '87, 1987, Appearances, Family and tagged Brian Henson, Cheryl Henson, Heather Henson, Institut International de la Marionnette, Union Internationale de la Marionnette. Bookmark the permalink.